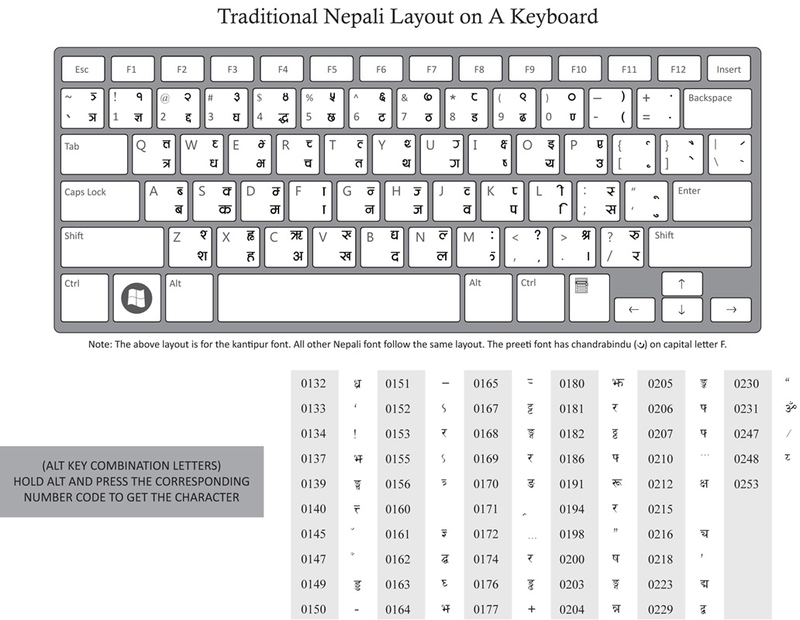 Here is a keyboard layout for Nepali typing. Hope this will be helpful for those who are willing to type Nepali. I have also included the alt combination keystrokes. Feel free to download and use it as a reference. Click the image for larger view. But I recommend you download the PDF for quality printing or viewing.